Tahirul Qadri is back. This time he considers the Sharifs as the biggest threat and wants to save Pakistan and its democracy from the PML-N. True, it was a remarkable achievement for him to get the opposition together on the same day, if not on the same platform. Though a few political parties were sharing the stage, the PPP and the PTI are the most significant. And the leaders of both the parties – Zardari and Imran Khan had refused to share the platform. Both had to be accommodated on the same stage, but in two different sessions. The opposition parties have come together on the same stage, but remain divided. Though there were few parties, besides the PTI and PPP – the PML-Q is the only other party with any political significance. They are not united by a common political goal, but an opportunist agenda to dislodge the PML-N. Despite the judiciary ousting Nawaz Sharif and a few political machinations in Sindh and Balochistan, and the violent protests by radical groups in Islamabad-Rawalpindi, the PML-N remains united. Tahirul Qadri has a cause. He wants justice for the killings of his party workers in 2014 in Model Town, which is a fair expectation. But, he is using this to further a broader political agenda against the Sharifs, and want the other political parties to come together. The PPP, PTI and other parties that have converged in Lahore have different agenda, though they pay lip service to the Model Town killings. If Tahirul Qadri sees assembling Imran and Zardari as an opportunity, the latter see this as another opportunity to bring down the PML-N. Even if the PML-N governments in Punjab and Islamabad manage to save the provincial and national assemblies, the opposition parties expect that the process will weaken the PML-N further before the general elections scheduled during 2018. The Mall Road protest is political opportunism for the opposition parties. Tahirul Qadri is providing a platform for them; else, given the differences between Imran and Zardari, no one else can bring them together. Qadri is truly a political maverick. Two questions are significant. What is Qadri’s ultimate agenda? This will remain unknown, given the nature of his “visiting” politics. 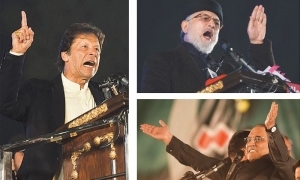 Whether he is doing it on his own or is a part of a broader political re-engineering led by the Deep State – it will not be easy to decipher the Qadri code. Will he be able to bring the opposition parties together into a political alliance? Unlikely. The fact that Zardari and Imran Khan attended the rally separately will highlight the deep differences between the two opposition parties. During the recent years, there have been repeated demands to counter the jihadi narrative in Pakistan. A section has been discussing about a different narrative led by the State and the mainstream society. Finally, Pakistan seems to have taken the first step towards that narrative. 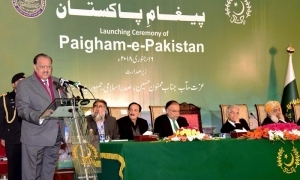 Led by the International Islamic University in Islamabad and signed by more than 1800 religious scholars, the government of Pakistan has started a significant initiative – Paigham-i-Pakistan. The document condemns sectarian violence, suicide attacks and calling for jihad without supported by the State. Sectarian differences have become a primary reason for internal violence, including suicide attacks in Pakistan. In particular, the clergy has an important role to play in countering extremism – violent and otherwise. It has been reasonably accepted that the clergy play a negative role in the extremism narrative; hence, a section has been demanding to make use of them. In this context, the Paigham-i-Pakistan is a good beginning. In the recent years, there have been numerous “fatwas” issued by the clergy on multiple issues – internal and international. Also there were calls for a “jihad” by the same section from different parts of the country. The new document makes the State as the Centre of this discourse by making it as the only authority to issue a jihad call. A good first step has been taken; the State has to take this process forward, by undermining the legitimacy and support of those individuals and institutions that defy the above. In this context, it does not make sense to see the State playing with fire, by making deals with radical groups, such as the one brokered by the military during last month in Rawalpindi. The government surrendered to a radical group and abdicated its responsibility to impose its writ. Second, all sections of the State will have to be on the same page. Parliament, Military and Judiciary will have to lead this initiative with same objectives, without politicising it. The political parties, especially the religious political parties will have to take ownership. Will they? The Line of Control (LoC) between India and Pakistan has remained volatile during the recent months/years. On 15 January, Indian Army had claimed to spoil an infiltration bid and in the process killing seven Pakistani soldiers in Rajouri-Poonch sector. This sector has always been one of the primary launching pads of militants into J&K. Besides the border with India, Pakistan has two more borders in the west with Iran and Afghanistan. 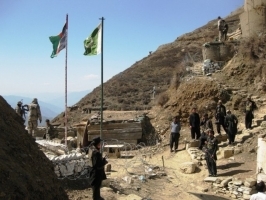 Pakistan’s border with Afghanistan is not settled yet; Successive governments in Kabul, including the Taliban, refused to politically recognise the Durand Line as a final border between the two countries. Political recognition apart, the Durand Line remains more violent for Pakistan than the LoC with India. Kabul has been complaining of Pakistan calibrating the Afghan Taliban and the Haqqani Network to keep Afghanistan unstable. The presence of militants on the Pakistani side has also led to regular drone attacks in the Tribal Agencies and occasional military attacks. Pakistan’s Iran border is not as violent as the Durand Line, but remains unstable, thanks to the widespread illegal movement of goods and people. Smuggling is rampant in the Baloch sectors of the Iran-Pakistan border, especially around Gwadar. There have been attempts to fence the border as well. Why are the three borders of Pakistan unstable and occasionally violent? Many countries, including China and India, have an unsettled border with their neighbours; but, none of them is as volatile and as intense as Pakistan’s three borders. From Mongolia to India, China does have border problems with the neighbours. From Nepal to Sri Lanka, India also has border problems with its neighbours. But none of them has been as violent as Pakistan’s. Even the recent India-China border skirmish in Doklam – did not turn violent. Four questions need further exploration on the subject. First, is the problem with the neighbours, or with Pakistan? Second, are the border problems of Pakistan a legacy of British rule, or post 1947 creation? Third, at the bilateral level, is the issue political or military? Finally, within Pakistan, is the problem with the political leadership, or the military? One could identify four sets of external challenges for Pakistan during 2018. First one is in the immediate neighbourhood – both in the east and west relating to India, Afghanistan and Iran. Though Pakistan’s relations with Iran is relatively stable, Islamabad is yet to settle into a bilateral rhythm with both Afghanistan and India. Relations with both the neighbours during the last few years have been unsettling for Pakistan. Despite visits by Nawaz Sharif and Narendra Modi and their occasional meetings elsewhere, Indo-Pak relations has not seen a forward movement during the last two years. So is the case with Afghanistan. Perhaps, there is a mismatch between the actors who are engaged in dialogue. While the President and the Prime Minister respectively in Afghanistan and India lead the external relations vis-a-vis Pakistan, the latter’s policies are shaped by the GHQ and not the Parliament. Will this trend continue in 2018 as well? Facing elections, the political parties are less likely to concentrate more on external relations during this year. The Parliament is likely to remain divided than compose a confident strategy towards the neighbourhood. The second major challenge for Pakistan would be to stabilize its relationship with the US. The Pak-US bilateral relations have also remained unstable during the last few years, with Washington pursuing a carrot and stick approach. With the Trump administration, there seems to be more of a stick, and a threat to use it. Pakistan’s primary leverage vis-a-vis the US is Afghanistan, and has been trying to exploit it through calibrating the Afghan Taliban, especially the Haqqani network. Will Pakistan be able to chart a stable roadmap with the US in 2018? The bilateral relations between the two is as important as the Af-Pak one; the latter certainly shapes the former. Islamabad’s road to Washington runs through Kabul. Growing Indo-US relations is likely to increase the domestic heat within Pakistan. It would be a challenging task for the foreign policymakers to deftly handle domestic rhetoric on the US and the American pressure to "do more". The third major challenge for Pakistan would be with China, regarding operationalising the CPEC. Projected as an El Dorado, the China-Pakistan Economic Corridor has not been an easy travel for Pakistan. The provinces are divided over the operationalization of CPEC routes; Balochistan and Gilgit Baltistan, along with Sindh and KP are worried about Punjab getting a larger share of the CPEC. Internally, no other external project has raised as much interest and suspicion inside Pakistan as the CPEC has been. Besides the provincial differences on the CPEC, the public debate is also polarised. Besides the domestic differences, Pakistan also has to face some tough demands from China, for example, Yuan as a legal tender. As the CPEC focus and budget expands, there is likely to be more demands from Beijing. Islamabad will soon realise, Chinese are not like Americans to handle and even to fool. The fourth challenge would be from what Saudi Arabia expects of Pakistan. The former is engaged in a Cold War with Iran, besides trying to impose its hegemony in the immediate region – Yemen and Qatar for example. Saudi Arabia expects Pakistan to play an active role in certain specific initiatives, for example, the Islamic Military Alliance. Saudi Arabia’s expectations are bound to affect Islamabad’s relations with Qatar and Iran, besides impinging on the domestic sectarian fabric of Pakistan. To conclude, 2018 will be a challenging year for Pakistan in stabilising relations in its immediate (South Asia) and extended (West Asia) neighbourhoods. Managing the relations with the US and China will also require careful handling. Two domestic factors - forthcoming elections and civil-military relations will further impinge on Pakistan’s foreign policy decision-making process during 2018. The CPEC Challenges for Pakistan: Yuan as a Legal Tender in Gwadar? A few days ago, Chinese and Pakistani delegations met during seventh meeting of the Joint Cooperation Committee (JCC) in Islamabad; the objective was to finalise the Long Term Plan (LTP) for CPEC. The contents of the Long Term Plan remain confidential, though a report in Dawn a few months ago hinted at the larger official focus for Pakistan and China until 2030. Following the above JCC meeting, Khurram Hussain, a staff member at the Dawn, has asked a serious question through media to Ahsan Iqbal, the Minister for Planning, who is responsible for the CPEC-LTP: do the Chinese want to float Yuan as a legal tender in Gwadar? According to Hussain’s story, the Chinese have raised the same issue during previous JCC meeting as well, which Pakistan has refused then. If China has raised the issue again during this JCC meeting in November 2017, it shows their seriousness. Hussain’s questions revolve primarily around Pakistan’s response. Two sets of questions need to be examined further. The first one is Gwadar specific. Gwadar is not a big city. It is not even a big town. It is a small sleepy coastal town with a population around 100,000 or even less than that. According to the 2017 census, the entire district of Gwadar has a population around 260,000. What are the larger Chinese interests in Gwadar? Why do they want Yuan to be a legal tender in a port town? What kind of business are they expecting in Gwadar, which would necessitate Yuan to be a legal tender? Obviously, this would also mean a large number of Chinese presence in Gwadar? What is the number that the Chinese are expecting? And for what purposes? According to the available information, the Chinese are expanding the port facilities in Gwadar and also building a new Airport. The second set of questions is related to beyond Gwadar in Pakistan. If China-Pakistan Economic Corridor has multiple projects in the mainland, will the Chinese next explore a similar option in rest of Pakistan as well? Certainly, the Chinese have every right to explore strategies to strengthen their economic presence and also their currency. The US, UK and EU have been pursuing a similar approach. If the US sees the acceptability of dollars as an international currency as a part of strategic interest, China’s aspiration to make Yuan a global currency should also be seen in the same perspective. The issue here is not China’s global objectives. It is narrowly limited to the Chinese interests in making Yuan a legal tender in Pakistan – and the broader purpose it would serve. Officially, the CPEC is pushed as 55 billion USD project, with numerous sub-projects. Do the Chinese have a bigger plan than the above? A more substantial question, besides the above two, would be: will China follow up with a similar push in Sri Lanka and Nepal? Perhaps, it has already started the process. Indian currency in smaller denominations is accepted in Nepal and Bhutan. The objective is more to facilitate local trade and tourism. What will be the Chinese objectives? The Chinese objectives and their possible implications for India in Beijing pushing for Yuan as a legal tender in the region, needs to be explored further. According to available public information, Pakistan has not acceded to the Chinese demand. As the CPEC gets more prominent, will Islamabad be in a position to say no to Beijing? Was MQM-P born in the office of Sindh Rangers? 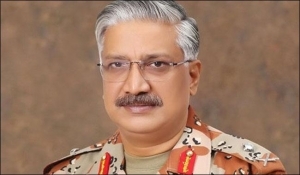 Maj Gen Muhammad Saeed, Director General of Sindh Rangers, on 13 November 2017, in an interview, denied that the Establishment played any role in brokering an alliance between the MQM-P and PSP. Last week, both MQM-P and PSP came together to announce an alliance with “one manifesto, one party, one symbol”; the attempt failed miserably, and the alliance did not last even for 24 hours. Subsequently, Mustafa Kamal, leader of the PSP (Pak Sarzameen Party) stated that the alliance was brokered by the Establishment. Kamal also was quoted to have stated, “…the establishment called us and made us meet Farooq Sattar…This did not happen a few hours ago. Sattar and his team have been calling us with help from the establishment for the past eight months.” Kamal was also reported to have stated that the plan originated in August 2016. According to Kamal, “MQM-Pakistan was launched in the office of Major General Bilal Akbar” the then DG of Sindh Rangers. Why should Sindh Rangers, a paramilitary organization, in the first place have an “intense interaction with all political parties”? Is it a part of the Ranger mandate? Or, have they usurped it? A serious question would be: did the Rangers usurp the role to “dictate any organizational policy for the political landscape” in Karachi, or did the political parties have abdicated their primary role in any democracy – politicking? While the Sindh Rangers cannot be condoned for their political interference, the primary problem lies with the parties and their leaders. Until a few days earlier, both the parties have been bitterly fighting. There have been a series of defections from the MQM-Pakistan to the PSP in the recent weeks. MQM-Pakistan, headed by Farooq Sattar represents, or atleast claims to represent the MQM of pre-August 2016 period. In August 2016, a major development took place within the MQM, witnessing the party in Pakistan disowning its founder leader in London – Altaf Hussain. After founding the party from his student days, and converting a student movement into a powerful political party representing the interests of the Mohajir community in urban Sindh, Altaf Hussain did something atrocious in August 2016. Addressing a crowd in Karachi from London, Altaf Hussain went against the Pakistan media and worse, the military. And both caused an unrepairable damage to the MQM. Calling Pakistan as a cancer, Altaf in his August 2016 speech from London said, “Pakistan is headache for the entire world. Pakistan is the epicentre of terrorism for the entire world. Who says long live Pakistan...it’s down with Pakistan.” Though he had his own reasons to be unhappy with the Establishment and the media, his public statements made it difficult for the party. The Establishment had in place a strategy towards MQM minus Altaf Hussain, and he played into their hands. 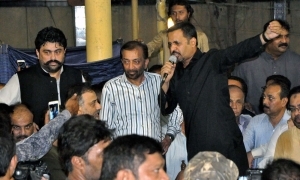 After the above, a section within the MQM broke with London and came together under the leadership of Farooq Sattar. Few months earlier, the PSP was founded by Mustafa Kamal - a former MQM leader, who had served as Karachi Mayor. He had left the MQM and also Pakistan in 2013, but returned to Pakistan in 2016 to float a new party – the PSP and fight for the Mohajirs. The general perception is – the PSP has the support of the Establishment. The has been was working hard to weaken the MQM-Pakistan further. Since, the PSP was formed only in 2016, it does not have representations in the Sindh Assembly, or the National Assembly in Islamabad. MQM-P has all the Mohajir seats in regional and national assemblies. Many suspect, that the Establishment was trying to squeeze the MQM-P and forcing its leaders to join the PSP. And the Establishment’s plan seemed to be succeeding. Hence, the latest announcement by Farooq Sattar and Mustafa Kamal comes as a surprise. How did they come together, when they were fighting until few days ago? And the slogan – one party, one manifesto and one symbol is extremely powerful. Especially the last one. The Deep State is apprehensive of the use of “MQM” and also the party symbol – the kite. What forced the two factions to come together? Is the MQM-P falling into the hands of the PSP? Or the latter coming out of the Establishment’s shadow? It is too early to make an assertion on the above. One needs more time to have a larger analysis. But what is clear is – the above move will strengthen the Mohajir politics in Karachi and rest of urban Sindh. A weak MQM means a polarised Karachi. PPP, ANP, PTI and JI – all have their pockets of influence, but none can take an assertive lead. And what is not clear is – who will lead this “one party” and what will happen to the original MQM? Is Altaf Hussain out completely? Gen Musharraf has made another surprising statement – that he would be willing to come back to Pakistan to lead a united Mohajir movement. It appears, Farooq Sattar and Mustafa Kamal have realised that they would fall together, if they stand divided. But, will the Establishment let its plan fall in Karachi, and see the Mohajirs rise again? Interesting times ahead for the Mohajirs, Karachi and Pakistan. Accountability Legislation: Why do the political parties want to exclude the Military and Judiciary? It was another sad day for Parliamentary supremacy and the process of accountability in Pakistan. 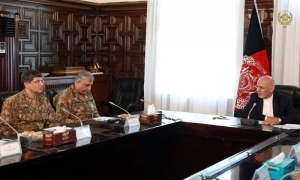 It appeared the political parties were unanimous in their approach to keep the military and judiciary outside the purview of the proposed National Accountability Commission. Early this week, the Parliament has decided to drop the Judges and Generals from the new legislation. The idea of a new National Accountability Commission was the brainchild of the PPP and the PML-N, aimed at replacing the existing National Accountability Bureau (NAB), that came into existence in 1999 immediately after Gen Musharraf’s coup. The NAB designed to be “Pakistan's apex anti-corruption organization” was created by Gen Musharraf under the National Accountability Ordinance. It had its own shares of controversies and witch hunting; it was used by the military regime under Musharraf to go after the political leaders with a specific objective. While the idea of accountability is imperative in any democratic structure, it is also equally important, that the process is clean and established by the Parliament and not by a military regime. So, a section within Pakistan wholeheartedly did welcome the idea behind the PML-N and PPP coming together to draft a National Accountability Commission. Alas, the objective lost its essence, when the leading political parties, including those who were the architects, decided to exclude two institutions from the process – military and judiciary. It was Farhatullah Babar, the PPP Senator who introduced the provision; however, even the PPP didn’t want to pursue it further. The PTI and JI protested the process and walked out complaining their inputs were not considered. One could understand the PTI and JI from not taking a stand. But why would the PPP and PML-N not push forward it? Are the political parties too afraid to not to offend the judiciary and the military? Having been at the receiving end in the recent decades, these two leading parties should have ensured an across the board accountability process, legislated through the Parliament. Such a process should have also strengthened the Parliament. Especially the PML-N - if one has to go by Nawaz Sharif’s statements in the recent months, especially after his disqualification, one would have expected that the party take an assertive position in making accountability inclusive. It was surprising to see PML-N also agreeing to withdraw the provisions from making the accountability process inclusive. Or, is there another “National Reconciliation” under progress? Last week, the PK-712 from New York JFK to Lahore via Manchester took off for the final time. PIA has been operating flights to the US since the 1960s. Given the presence of Pakistani diaspora in the eastern coast of the US, PIA should be flying full and expanding to other destinations as well. Why would the PIA want to close a profitable route? The reasons are nothing to do with the Lahore-JFK route; rather, the governance problems within the PIA and the controversies around have compounded the ground operations. Consider the following cases in 2017 alone: in October, the PIA had decided to “sell off” a “missing” Airbus! In May, British authorities found drugs on an Islamabad-London flight. 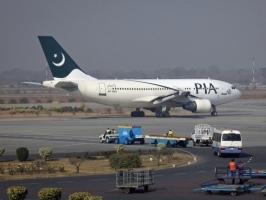 In April, a pilot in another Islamabad-London flight handed over the cockpit to a trainee to take a nap in the passenger’s cabin. A Karachi-Madina flight in February, disregarding all norms of passenger safety, carried seven extra passengers “standing” during the flight. Even the last flight from JFK, instead of leaving a nostalgic memory behind, left two coffins behind, as it took off. Clearly, there is a serious governance issue within. To be fair to the PIA management, rest of South Asia, except Sri Lanka do have a problem in running their national carrier. Air India, Nepal Airlines and the Biman have their own problems; but the PIA leads the pack in South Asia and flies higher with the problems and controversies. Given the fact that different Airlines from the Middle East are providing an attractive service, PIA should have realised the challenge much ahead. Emirates, Qatar and Etihad are much ahead not only with the services in the air, but also on the ground with an attractive airport in Dubai and Doha. Many in Pakistan would prefer to fly via Dubai and Doha for the above two reasons – good service in the air, and a great airport in the ground. To revive the PIA, it would need a huge support from the government. Successive governments played a role in playing with the governance structure of the PIA. Both the PML-N and PPP should also take the blame for PIA’s turbulence in the air and in the ground. So, there is another “plan” prepared in London! This time, by the senior leaders of the PML-N. According to the plan, Shahbaz Sharif will be put forward as the Prime Minister candidate of the party. This would give clarity to the party. So, what happens to Nawaz Sharif, given the fact that there are summons from the National Accountability Bureau? Nawaz has been avoiding from appearing from the courts, though his legal counsel has been representing him. The “London Plan” envisages the return of Nawaz Sharif to appear before the courts and face the consequences. It would be ironic if Nawaz Sharif gets convicted and sent to prison. This would mean the London Plan leading two brothers into two diametrically opposite directions – one to the Parliament and the other to a jail! The big names of the PML-N have authored the London Plan. This should effectively seal the murmurs within the party and nip the idea of forming a “Forward Bloc” within the PML-N. The London Plan should also give the party a good start under the effective leadership of Shahbaz Sharif to prepare for the next elections. Given the political rhetoric and electoral threat from Imran Khan and his PTI, preparing ahead for the next elections under Shahbaz is imperative for the PML-N.
Are Taliban’s contacts with Russia, China and Iran growing? Can they be leveraged? A report in Pakistan media (The News) has hinted at Taliban expanding its contacts with Moscow, Beijing and Tehran. 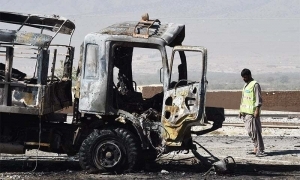 The report, prepared in the context of US-Pak interactions on Afghanistan, based on inputs from officials hinted the above, and even quoted a Pakistan foreign ministry official stating that Islamabad’s influence over the Taliban is “often overestimated” in Washington. The above hints at two issues – growing contacts of the Taliban with other regional countries and the limited influence of Pakistan over the Taliban. On the latter, there is an understanding on the ability of Pakistan to influence and pressurize the Afghan Taliban on certain issues, that the latter consider as existential. Perhaps, Pakistan has more influence over the Haqqani Network, than the Quetta Shura. The first issue – contacts between the Taliban and the three countries mentioned is important. Is the Taliban looking to expand its contacts with Moscow, Beijing and Tehran? Or is it the other way around that the countries want to cultivate the Taliban? Taliban and Russia: “Moscow Shura”? What could be a reason, if any, for Russia to arm the Taliban? Available reports in the media hint that Moscow wants to prevent Islamic State from entering into Afghanistan. Others suggest Russia wanting to trap the US in Afghanistan and return the favour. Is there a “Moscow Shura” as discussed/denied in the Twitter world? And what about Iran and China? Why would they want to engage the Taliban? Reports and local inputs have always suggested a tactical collaboration at the ground level, but is it becoming strategic? If there are contacts with the Taliban, can they be leveraged? Back to Pakistan. Linking Taliban’s contacts with China, Russia and Iran could be a deliberate ploy by Pakistan to deflect the global complaint against Islamabad for supporting Taliban. But, if there is a case, then would it be acceptable to Islamabad to expand the Afghan QCG and bring Moscow and Tehran also in? Besides the QCG that got reactivated in October 2017 with a meeting in Muscat, Russia hosted a summit in Moscow in February 2017. Though it was initially planned as a parallel quad with Russia, China, Pakistan and Afghanistan, India and Iran were included subsequently. Clearly, Afghanistan is back in Russia’s strategic outlook. As Suhasini Haidar wrote then about the Moscow summit, perhaps Moscow sees itself a “legitimate stakeholder” in Afghanistan. (The Hindu, 19 February 2017) But, how far would Russia go, along with other three countries – Iran, China and Pakistan? While there are no immediate answers for the above questions – the subject needs to be explored further. A larger question for New Delhi would be – if other regional actors are establishing contacts with the Taliban, what should be India’s strategy? In those Afghanistan meetings in New Delhi outside the government – the issue of India establishing contacts with Taliban did find a mention. Perhaps, with the Chabahar opening, the issue of securing the highway and the goods across it would bring the debate back. India has invested substantially in the government in Kabul, and the Afghan people. New Delhi should look at Afghanistan from a strategic perspective, and not be tactical. Considering Taliban will be. 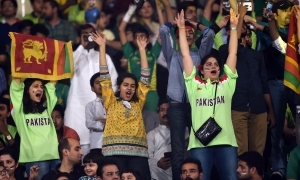 Pak-Sri Lanka T-20 in Lahore: Has Cricket returned to Pakistan? Congratulations Pakistan, for the confidence in hosting an international match in Lahore, after a long gap. The last match was held in 2009 in Lahore, against the same opponent. A terrorist attack on the bus carrying Sri Lankan players had stopped other teams from visiting Pakistan ever since. Until yesterday. And congratulations Sri Lanka, for the courage in accepting to play again in Pakistan. Though none of the players who played the T-20 yesterday was a part of the 2009 team, there should have been enough discussions amongst the Sri Lankan players of the Lahore attack. To be fair to the Sri Lankan team management, it did give the option to players to play or not in Pakistan. So, has Cricket returned to Pakistan? Ever since 2009, Pakistan has been playing international matches in UAE, including test matches. It is unfortunate, that some of the contemporary legends of Pakistan’s Cricket – Younis Khan and Misbah-ul-Haq could not play their final matches in Pakistan, in front of home crowd, before bidding goodbye to the game. Dubai, Abu Dhabi and Sharjah have become the venues for Pakistan’s international matches. Pakistan played against England, West Indies and now Sri Lanka in the Gulf. Even yesterday’s match – was a part of a bilateral series with Sri Lanka scheduled in UAE. Players flew in and flew out in 24 hrs to play the match in Lahore. Teams would be hesitant to play in a ground without enough time for warming up. The reason for the long gap is security and the fear of terrorist attack. Not only Pakistan, other countries in South Asia have also faced the same issue; teams, after accepting to play in the region, have cancelled the tours. Bangladesh and Sri Lanka have improved the security situation, resulting in Cricket returning. For Pakistan, to attract teams from outside South Asia, for example, Australia and New Zealand, the situation has to improve further. Even the Pakistan Super League early this year had to be played in UAE, sometimes even with an empty stand. Only the final match of PSL 2017 could be played in Lahore. Also, the visitors should have the confidence to play across the country, and not only in Lahore. All three matches of between Pakistan and “World Eleven” in September 2017 were played in Lahore. And the visitors should also have the confidence to play a full series in Pakistan; international matches cannot be scheduled with a fly in and fly out in 24 hours just to play T-20 contest. A beginning has been made now in Lahore. The Pakistan Cricket Board (PCB) under Najam Sethi has been desperate to get Cricket back to the country. For the players, matches in front of a home crowd provide tremendous confidence, especially for the young ones. For the PCB, it helps financially to build its bank balance. One of the reasons that the PCB has been threatening the ICC to pressurize India to resume bilateral matches revolves around the financial gains – from local advertisements to TV rights. A financially sound PCB could improve Pakistan’s local cricket infrastructure and also pay better for its players. Apparently, Sarfaraz Ahmed, the captain of Pakistan’s Cricket team has a basic salary lesser than an Irish player! For the country, playing within Pakistan helps to improve its international image. PCB cannot do much, unless the situation improves across the board. Given the passion and support for Cricket within Pakistan, it is imperative that the State works further on the issue. After all, isn’t Cricket the only secular activity, that draws widespread support cutting across generations in Pakistan? Back to the main question – has Cricket returned to Pakistan? A long way to go, but Lahore is a beginning. Targetting Media: Who killed 55 Journalists since 2001? And Why? 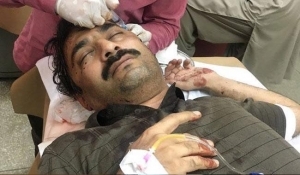 On Friday, a senior journalist of one of the leading English dailies – the News of the Jang group was brutally attacked in daylight in Rawalpindi by a group of motor-bike borne assailants. Ahmad Noorani – a valuable member of The News Investigation Cell, during the recent months has been writing a series of investigative reports on the Panama trial, especially relating to the probing of Joint Investigation Team. Where he erred, he also apologized and wrote a rejoinder. Why was he targeted? First, a short note about the numbers and the victims. Ahmad Noorani is not the first person from the media to be targeted in the recent years. Unfortunately, he would not be the last in Pakistan. According to open literature, more than 55 from the media have been brutally murdered since 2001. Murders are only a part of the story; there have been disappearances, kidnappings and brutal attacks on the media personnel during the last fifteen years. Some of the senior journalists, with an extremely independent thinking and writing during the recent years were lucky but had to leave the country, after the attack. Raza Rumi of the Friday Times, a soft-spoken but a stubborn critic had to leave Pakistan after being attacked. Hamid Mir of the GEO who had his controversies was also targeted. Both are senior journalists with years of experience. Salim Shahzad, the author of Inside Al-Qaeda and the Taliban: Beyond Bin Laden and 9/11 was not so lucky; he disappeared before he was tortured and killed subsequently. So were numerous other young journalists. Second, the question about the perpetrators. Who are behind the attacks? The motor-bike borne attackers are not the real perpetrators; those who tasked them are. One could observe four large trends in terms of attacks against the journalists in Pakistan, in terms of who perpetrates. The Deep State in Pakistan has been known for its targeting media personnel, who cross the line. The militants have used kidnap, attacks and murder as a weapon on those who write against them. The extreme Right, though not organized, have attacked especially the bloggers. Finally, the State – different security agencies have indulged, though not in fatal attacks, but in lesser altercations. Third – is the expanse of these attacks. From print media and electronic media, the attacks have expanded into the blogosphere and social media as well. Bloggers disappear or get kidnapped; though released later, some of them have left the country. In terms of geographic expanse, some regions within Pakistan face it rough – for example, Balochistan. To an extent even Gilgit-Baltistan. While the media in Punjab, Sindh and KP have a robust presence, being a journalist in the above two regions has never been easier. Forget about a print media, even an online newspaper or a blog is not easier to run in Balochistan, GB and FATA. The issue is serious, and has to be analysed beyond the attacks on journalists. There is a sinister agenda, led by actors belonging to the State, non-State and extreme Right. What do these attacks lead to? And why is the State lethargic in investigating against the perpetrators? Worse, why does the State refuse even to register cases in certain instances? Not many Pakistan watchers were aware of Khadim Hussain Rizvi until a year ago. He was a Mullah preaching in a Lahore mosque and a self-proclaimed Brelvi scholar. Mumtaz Qadri, the assassin of former Punjab Governor Salman Taseer has transformed Khadim Hussain Rizvi from a Mullah into a political leader. Rizvi used the Qadri trial, launching a movement against the blasphemers earlier, leading to the formation of a political party in 2017, just before the elections for the NA-120 in September 2017. Rizvi’s speeches, available in the public and also in Social Media, are inflammatory and provocative. Though the stated objective of Rizvi’s movement was the release of Qadri, it had an anti-minority agenda. In the name of targeting the blasphemers, it opposed any reasonable and rationale debate on blasphemy within Pakistan. His party contested in the two elections during the last month in Lahore (NA-120) and Peshawar (NA-04). Now, everyone within Pakistan is talking about his party. It did not win either of the two elections, but made a significant impact by securing 7100 and 9400 respectively in Lahore and Peshawar elections. In both places, it has polled more than the decades-old and well-established religious parties like the Jamaat-e-Islami (JI). The latter could secure only 590 and 7400 votes in these two bye-elections. Besides the Tehreek-e-Labaik, the JuD supported Milli Muslim League (MML), formed recently is also making a significant presence. Since the Election Commission has not recognized the MML as a political party, its candidate contested as an independent and polled around 5800 and 3600 votes in Lahore and Peshawar respectively. Where does the support to the extreme rightwing come? Whose share are they eating into? Is it only the right-wing political parties such as the JI, which is yielding political space to the extreme right? Or, even the mainstream secular parties such as the PPP are losing to the above? The Tehreek-e-Labaik and the Milli Muslim League together have polled around 26000 votes in Lahore and Peshawar; PPP could only secure around 13,500 votes from the same constituencies. Until now, the religious Right in Pakistan stood in the periphery electorally. With the Tehreek and the MML, how real is the danger of periphery in Pakistan’s politics coming into the Core? 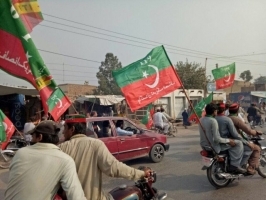 Imran Khan’s PTI retained the bye-election held for the National Assembly seat in Peshawar (NA-04); this was the second election in the last one month, to be keenly followed. 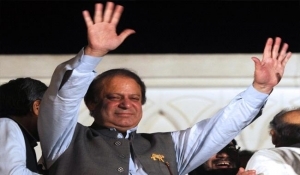 The first one took place in Lahore last month; PML-N retained the seat vacated by Nawaz Sharif. What does the NA-04 election results say? PTI had won the NA-04 seat for the first time in 2013 general elections with a big margin; it had then received around 55,000 votes. PML-N and Jamaat-e-Islami received around 20,400 and 16,400 votes respectively. Previous six elections between 1988 and 2008, except for the 2002 elections, were won by the PPP and the ANP. The former had won three times, and the latter twice during 1988 and 2008. Naseerullah Babar, the PPP stalwart and Pakistan’s interior minister during the mid-1990s got elected from this seat. PTI would like to project the NA-04 victory as a success for its policies within Khyber Pakhtunkhwa since 2013. The PTI would want to take this forward into the forthcoming elections for National and Provincial Assemblies in 2018. The PTI marches on. The Awami National Party (ANP) has come second, winning around 24,800 votes. Peshawar was once an ANP stronghold. Does this reflect an ANP resurgence in KP? ANP, and not PML-N would be the primary challenge to the PTI. The PML-N, though polled few thousand votes more than the previous election, it has come a close third, winning around 24,400 votes. This despite, both Fazlur Rahman (JUI-F) and Aftab Ahmad Khan Sherpa (QWP) withdrawing their candidates favouring the PML-N. The PML-N is likely to lose further ground in the KP. The PPP’s rout in NA-04 is clear, as has been the case with the NA-120; despite getting the son of Gulzar Khan (the PTI MNA from the constituency who passed away recently and the reason for the bye-election) to contest to from the PPP, it could get no sympathy votes. Both the PPP and the ANP used to win the seat since 1988. The decline of PPP in Punjab and KP is clear and should be a major cause to worry. So is the decline of the Jamaat-e-Islami, providing space for radical groups. JI polled around 15,000 votes in 2013, but could manage only 7,400 this time. The Tehreek-e-Labaik Pakistan, contesting for the first time has polled around 9,400 votes, 2000 more than the JI. Another first timer - the MML (the political front of the JuD) supported independent got around 3,600. Together, the Labaik and MML are gaining ground – a trend observed in Lahore NA-120 as well. The above analysis is based on the provisional results based on newspaper sources. Once the election results are officially announced, there could be a better reading of other issues as well. Tillerson in Pakistan: More of the Same? Rex Tillerson, the US Secretary of State, visited Pakistan on 24 October 2017, as a part of his South Asia tour, after visiting Afghanistan the previous day. The contours of his visit and any policy implication for the US will be seen subsequently, once he completes the tour. Tillerson met the Prime Minister, Foreign Minister, Interior Minister, Defence Minister, Foreign Secretary and Chiefs of Military and the ISI. In Islamabad, Tillerson is reported to have stated, “Pakistan is important, regionally to the U.S. security relationships” and the Prime Minister, “We (Pakistan and the US) are strategic partners…”. Clearly, US sees Pakistan as “important” and the latter consider both as “strategic partners”. Whether there is something between the lines or not, what are the US options in Pakistan? Many in Pakistan were expecting that he would deliver a tough message. Did he? But, what tougher message would Pakistan need, than the Trump’s statement in August? The US would issue such strong statements and dilute the same subsequently. Remember the Defence Secretary Matis’ statement, in early October of working with Pakistan for “one more time”. The US needs Pakistan on two major counts. First, to take strong action against the Taliban that has safe havens within Pakistan; the US would need the latter and uses threats as a strategy to achieve them. Second, it needs Pakistan’s land corridor to send essential war materials American war machine in Afghanistan; especially with Trump closing down the Iran option. Pakistan is aware of this. Islamabad is also confident that the US would engage in a few drone attacks across the Durand Line in the FATA region, but would not go beyond. Hence, for all the threats from Washington, the Pakistani belief is that the US would not do more (of military operations outside the FATA). Few drone attacks in the tribal areas perhaps are acceptable for Pakistan and can be addressed with a few rhetoric and even hoodwinking the media about the attacks taking place on the Pakistani side. Pakistan will not “do more”, unless the US does. Tillerson’s visit will not make a difference to Pakistan’s long-term Afghan strategy post 9/11: if there is an American political pressure, yield a bit in the ground – take some military actions, but continue the larger game. For the US cannot do more, other than issuing threats, and crawling back to work with Pakistan for “one more time”. On 22 October 2017, eight terrorists including its chief belonging to the Ansarul Sharia Pakistan (ASP) were killed in an operation in Karachi. During the last few months, there was an intense discussion in Pakistani media about this group involved in violent activities in Karachi. The members of the groups were educated youths, from the middle class with degrees/studies in mainstream educational institutions, some even from the prestigious Karachi University. Reports also link this group to both the al Qaeda and the ISIS. 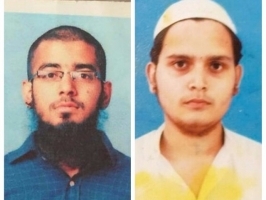 The story of Abdul Karim Sarosh Siddiqui and Sheharyar alias Abdullah Hashmi, the two militants of the ASP became the primary focus of the debate highlighting educated youths from mainstream educational institutions getting radicalized. Intern has been blamed, shifting the focus to a new phenomenon – outside the madrassa education and influenced by a conservative and radical clergy. Given the youth bulge in Pakistan, this has to be taken seriously. Why do the educated youths get influenced by radical ideologies? Is it limited to Karachi University? Do the other cities also face a similar issue in Pakistan? A larger question, from a regional perspective, is whether this trend could be observed in rest of South Asia as well? The State in its efforts to curb the MQM supremacy within the Karachi University campus undertook a series of measures – mainly banning student politics. Ethnic student groups were undermined deliberately, providing a free space to right-wing student groups. The encroachment on secular politics within the campus inevitably will force students to look for alternative debates. A case study of student politics in Karachi University and Punjab University and the reasons for clashes between different student groups should throw interesting statistics. Besides the MQM-rightwing clashes in Karachi University, there have been cases of groups trying to undermine cultural events of Pashtun students in Punjab University. Students belonging to the Islami Jamiat-e-Talaba (IJT) have been “moral policing” the campus, objecting to cultural events and girls students playing cricket. The State would ignore the complaints against the right-wing students. And in cases, would prefer them to undermine ethnic groups and politics within the campus. The students should have their own politics, associations, slogans, grievances and a roadmap to address them. Isn’t this a part of an educational system and growing up? Curbing secular expressions within the campus and allowing right-wing groups agenda is bound to have an extremist outburst. Online radicalization is not the cause; it is a course for conservative students getting influenced by radical ideologies and becoming extremists. US: What would Pakistan want? And what would it offer? 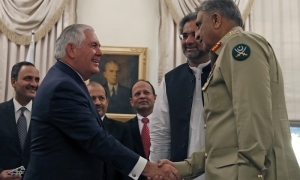 Following an earlier visit by an American delegation during mid-October, and an immediate Afghan Quadrilateral Contract Group meeting in Muscat, the proposed visit by Rex Tillerson, the US Secretary of State has raised expectations within Pakistan. For Pakistan, the relationship with the US is suddenly looking on a high. After its venomous response to the US, following Trump’s tough talk a month earlier, Pakistan’s relationship with Washington hit a new low. The Prime Minister even made a statement that the days of Pakistan’s dependence on the US is over. The recent public debate highlights another U-turn. This has been the nature of Pakistan-US relations, making it a roller coaster ride. The media – print and electronic have been emotional in responding to the US – either supporting or opposing the latter. The general belief in Pakstan today is – the release of Canadian-American couple and their children with Pakistan’s assistance, has started a new bonhomie with the US. 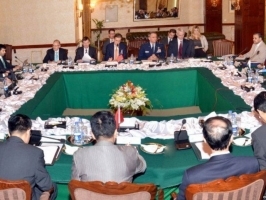 Pakistan’s expectations are at two levels – bilateral and regional. Bilaterally, Pakistan would want the US to continue the military support and economic aid. Without any political pressure from Washington to “do more”, and military pressure from across the Durand Line – through cross-border attacks and drones. Regionally, Pakistan would want the US not to oppose the CPEC and not invite India into Afghanistan; and would want Washington to pressurize New Delhi to “do more” on Indo-Pak relations, and even make a statement on J&K favouring Pakistan’s position. Pakistan would also want the US to act militarily against the TTP and its affiliates hiding in Afghanistan, but go-slow on the Afghan Taliban and its affiliates. And what Pakistan has to offer in return? They would be willing to act as a bridge between the US and China (stems from the nostalgic Henry Kissinger visit decades earlier) and perhaps share intelligence on low-level al Qaeda and Taliban remnants. On China, the US has enough direct linkages and bridges. 2017 is not 1971, where Tillerson would have to fly to Beijing via Islamabad in a stealth mode. For the US, the release of Canadian-American couple is not an epochal event, as it appears to be for Pakistan. Reports from Washington suggest, that the US gave hard intelligence and threatened Pakistan that either it takes action or face the ignominy of another raid, like that of Osama bin Laden. The US would want Pakistan to bring the Afghan Taliban and the Huqqani network – to either the political table or the military table. Can Pakistan offer the same? The rollercoaster ride will continue. Is the PML-N looking for Shahbaz? End of “Good Brother – Bad Brother” Act? Statements and visits during the past few days hint rumblings within the Sharif family, especially with the next generation leaders – Maryam Nawaz and Hamza Shahbaz. 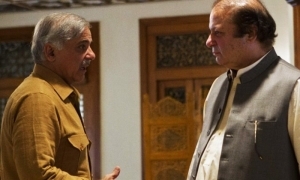 For long Shahbaz Sharif and Nawaz Sharif have been playing “Good Brother – Bad Brother” with the Establishment. Will this come to an end? It all had started with the Panama trial – the differences between the Establishment and Nawaz Sharif. Perhaps, the differences pushed the Panama trial and used the latter to target not only Nawaz Sharif but also his family members – including Nawaz's daughter Maryam. There are enough questions suggesting that the trial, especially the Special Investigation Team that undertook the inquiry had a mandate to fix Nawaz. And they did; Nawaz was disqualified. Clearly, the Establishment wants Nawaz to go. He is not willing to; instead, he got re-elected as the Party President in a hurry. Earlier, the NA-120 elected Nawaz’s wife Kulsoom, which fell vacant after the former’s disqualification. Both didn’t go well within the party. Nawaz could have asked someone else from the party to contest; Kulsoom was ill, and could not even campaign. Though she had won the seat, the PML-N polled fewer votes than the previous election. Clearly, the PML-N voters are not happy. Nawaz’s statements on getting re-elected as the Party President early this month were like a war cry. Both the Establishment and the judiciary were targeted directly and indirectly. The PML-N leaders are now concerned. While they may have respect and sympathies for Nawaz, they are against taking on the Establishment. Any confrontation with the Establishment will not only pull down Nawaz, but also the entire party. Facing the elections in 2018, the PML-N leaders would like to avoid it. Meanwhile, the Good Brother – Shahbaz Sharif, has been lying low. Obviously, he will not give up his brother easily, but he will also be apprehensive of Nawaz taking the party down with him. The statement by Riaz Hussain Pirzada, Minister for Inter-Provincial Coordination a few days ago – criticizing the re-election and suggesting that Shahbaz should take over the party – has a larger appeal within the party. For the party leaders, the survival of the party is important; Shahbaz has a better equation with the Establishment and will keep the party united. Both are important, if the PML-N has to survive the 2018 elections. Imran Khan may not be their worry, but the Establishment would be. The meeting of Maryam Nawaz with Shahbaz and his son – Hamza, a few days ago has assumed importance in this context. Though the former has dismissed as a casual meeting with her Uncle and Cousin, outsiders don’t see that way. Nawaz is propping up his daughter – to take over the party, and perhaps project her as a Prime Minister candidate. The party members have already hinted their preference over Shahbaz. Maryam has been indicted in few other cases and one is not sure of the verdict. Shahbaz has not made any statement so far. He has remained a "Good Brother" for the Establishment, and also for Nawaz. But, will he remain good to the "Bad Brother"? Will Nawaz see the writing on the wall? Or, will he take the party down? Or, will he hand over to Shahbaz now and fight another day? End of Omar Khalid Khorasani: Will Punjab sleep in peace? Will the JuA disintegrate? 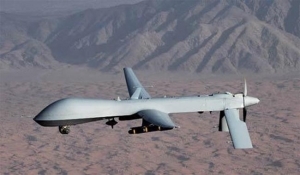 Another Taliban leader was killed by an American drone. Omar Khalid Khorasani, the leader of Jamaat ul Ahrar (JuA) was confirmed dead. Khorasani, born as Abdul Wali in the Mohmand Agency in the FATA, was one of the founder commanders of the Pakistani Taliban. 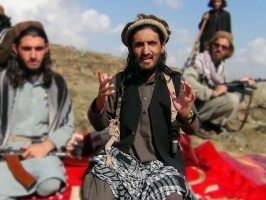 Leadership issues within the TTP after the killing of Hakimullah Mehsud in November 2013 (by another drone), resulted in he leaving the TTP along with other fighters to form the JuA. According to reports, he differed with Fazlullah, who took over the leadership of the Pakistani Taliban on many counts – especially in having any dialogue with the Pakistani State. After Khorasani’s killing, will Punjab sleep in peace? Khorasani had links with the sectarian militants from Punjab through another organization – Ahrar ul Hind. The latter merged into JuA in 2014; perhaps providing the much needed outreach for Khorasani into the Punjab heartland, especially Lahore. The Wagah attack (November 2014), attacks on two Churches in Lahore (March 2015), Easter Suicide bombing of a park in Lahore (March 2016), and Suicide attack on Mall Road in Lahore (February 2017) were some of the major attacks by the JuA in Lahore. Will JuA disintegrate? Much will depend on who will take over the JuA leadership after Khorasani. Given the sociological nature of the FATA society and its militant commanders, replacing a leader has never been an issue. From the days of Nek Mohammad, there has been a steady flow of militant commanders from below, filling the leadership. There has never been a vacuum at the top level within the Pakistani Taliban. There were too many leaders, sometimes leading to an internal power struggle; however, the new leader has always been able to consolidate his position. Balochistan: Who kills Whom, Where and Why? On 18 October, a truck carrying police officials was targeted by the Pakistani Taliban in a suicide attack, killing seven. Balochistan has been witnessing violence and insurgency in waves since independence. The present phase of insurgency has been going for the last fifteen years, led by Baloch insurgents for a secular ethnic cause. The above attack was not a part of the Baloch insurgency. In the recent years, there have been two new actors – the Pakistani Taliban and the sectarian militants – especially the Lashkar-e-Jhangvi. The latter primarily target the Hazara community in Balochistan, especially around Quetta. The Hazaras are Shias and have their links to Afghanistan. While they have been living in Quetta peacefully with the local communities for more than a century, in the recent years (since 2012), they have been targeted by the LeJ. The latest attack on the Hazaras took place few days earlier, when two militants in bike opened fire on Hazara vegetable vendors. The LeJ has its base in Punjab. The Pakistani Taliban has been targetting the security forces, as a part of their anti-State campaign all over Pakistan. In the recent years, they have increased their activities within Balochistan. The TTP has its base primarily in the KP and FATA. Most of the suicide attacks in Balochistan were carried out by the TTP. How do the TTP and LeJ who do not have their bases in Balochistan succeed in carrying out attacks in Quetta, the provincial capital? It is no coincidence that the violence led by non-Balochi groups have increased since Afghan Taliban moved into Balochistan and the Quetta Shura became a force. Quetta Shura is bound to encourage and provide space to other militant groups. Also the State, especially the Establishment in its myopic view, decided to ignore the sectarian ingress and overlook the violence against the Shia communities in Balochistan, and also the Shia pilgrims from Gilgit Baltistan who travel to Iran via Balochistan. The blowback is bound to happen. And grow bigger. ISIS should be considered as the fourth non-State actor in Balochistan, besides the Baloch militants, TTP and LeJ. Some of the recent suicide attacks in Balochistan have been claimed by them. Recent statistics would reveal, the violence in Balochistan is shifting from tribal to urban regions, and from the Baloch to non-Baloch perpetrators. What does this mean? Is the new violence and the perpetrators likely to deflect the original question in Balochistan? Is there an orchestration? Or, do groups play their own little games and wage small wars under the larger violence in Balochistan? According to news reports from Pakistan, over the last two days, there were three US drone attacks on the Af-Pak border regions, killing more than 30 people. It should be more than a coincidence that there were three drone attacks following the US delegation meeting Pakistani officials a week earlier in Islamabad, and the Afghan Quadrilateral Contact Group (QCG) resuming after a year. Obviously, the issue of drone attacks should have been discussed in the meetings. Did Pakistan also share some intelligence regarding the militant hideouts and movement, as a quid pro quo? According to a media report, the drones targeted the hideouts belonging to the militants of JuA and the Huqqani network. It is not clear, whether those who got killed were the foot soldiers or leaders of any importance. Quoting Taliban sources, the report mentioned that 18 members of the Haqqani militants were killed, but “no prominent militants were in the area when the drones targeted two or three different compounds” - mud-built houses used by the mujahideen. It is also not clear whether the attacks on both days took place on the Afghan side of the border, or the Pakistani side. Official Pakistani reports for political reasons would like to deny that the attacks took place in the FATA region in Pakistan. But, what is clear is the resumption of drone attacks, and the militants belonging to the Huqqani network getting targeted. Is Pakistan yielding to the American pressure on the Huqqani network? Or, is Pakistan playing another dirty trick, by providing intelligence on the foot soldiers of the Huqqani network and deflect the criticism that the latter is a “veritable arm” of the former? Almost after a year, the Quadrilateral Contact Group (QCG) involving Afghanistan, Pakistan, US and China met, this time in Muscat Oman on 16 October 2017. There was no statement at the end of the meeting either reviewing the talks so far, or presenting a new road map. The meeting is important – for this is the first meeting after Trump taking over. This is also the first meeting of the killing of Taliban leader in 2016 by an American drone, which led to the collapse of the QCG initiative. One of the primary focus of the previous QCG talks was getting the Afghan Taliban to the table. Pakistan was expected to use its influence on bring the Afghan Taliban to the negotiating table. More than other three countries, Pakistan is excited about the resumption of the QCG, for two reasons. First, there is a general perception within Pakistan that the QCG is a Pakistani initiative. Second, the resumption of QCG provides an institutional mechanism for Pakistan to set an agenda, or dismiss another. For Pakistan, QCG is a diplomatic leverage, not only vis-à-vis Kabul, but also vis-à-vis Washington. In this context, the recent meeting of an American delegation in Islamabad led by Lisa Curtis should have broken the ice, after a thaw in relations between US and Pakistan, following the harsh statement by Trump. So what next for the QCG and Pakistan? Much would depend on the Taliban leadership – whether they would like to take part in the negotiations, and what will they demand in return for the same. One is also not sure of the influence of Pakistan over the present Taliban leadership; after the killing of Mullah Mansour, the Taliban is also wary of Pakistan. Within Afghanistan, taking part in a negotiations would be a political disaster for the Taliban. Much would also depend on how far Kabul is willing to play along the QCG. Ministers of the Government and the military officials are continuing their tirade against each other through the media. The latest one is on the nature of Pakistan’s economy. DG ISPR is on the other side of the War. The Army Chief Gen Bajwa last week in a conference commenting on the need for Pakistan to expand its tax base, was quoted to have said that “the economy is showing mixed indicators…Growth has picked up but the debts are sky high…infrastructure and energy have improved considerably but the current account balance is not in our favour.” He was addressing businessmen in a conference organised by the Federation of Pakistan Chambers of Commerce and Industry (FPCCI) in Karachi. The DG ISPR Maj Gen Ghafoor's in a TV interview later said: "If the economy is not bad, it is not doing so well either." Ahsan Iqbal exploded. The DG ISPR could have let is pass. But he didn’t. There was another long press conference on Saturday. 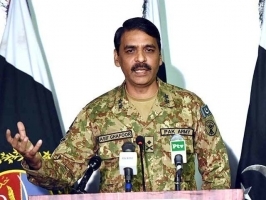 Disappointed as “a soldier and a citizen of Pakistan” by the comment made by the Ahsan, Maj Gen Asif Ghafoor said economy is linked to security. Pakistan is facing elections within a year. Any overt intervention by the military would only make things worse – both internally and externally. Unless, the Establishment has a plan, and what we see is a process in slow motion to achieve the same. It would be useful to forecast this plan, and the implications of the process. 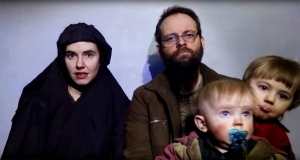 Joshua Boyle and Caitlan Coleman – a Canadian-American couple was kidnapped in Afghanistan in 2012. Following an operation by Pakistani security forces, with intelligence inputs, the couple was rescued in October second week, along with three children born during the captivity. While the development is a welcome and everyone who is part of this process should be congratulated, this has also raised few uncomfortable questions for the US and Pakistan. First, were the couple and children “secured” by an operation, or “released” by the Huqqani group, who is believed to be their captor? This is important, for the first one would suggest a positive and affirmative action by the security forces, and the latter a collusion. Second, the place from where the abducted family was secured/released. Did it happen, as they were crossing into Pakistani territory in the trial areas of FATA, or did it happen in the settled district of Kohat in Khyber Pakhtunkwa? The intelligence agencies in Pakistan seem to highlight the former, while news reports from Pakistan indicate the latter. According to an ISPR statement, “US intelligence agencies had been tracking them and shared their shifting across to Pakistan on 11 Oct 2017 through Kurram Agency border. The operation by Pakistani forces, based on actionable intelligence from US authorities was successful.” Clearly, the statement hints about the episode-taking place in the border. Media reports suggests otherwise. According to available reports, drones were repeatedly spotted in the area where the abducted family was finally recovered. This would suggest a strong and irrefutable intelligence by the Americans that the Pakistani intelligence agencies could not refute, other than help secure the process. Perhaps, for Pakistan the operation would help build its own image vis-à-vis the US; an American delegation led by Lisa Curtis was visiting Pakistan, when the hostages were secured/released. There is no proof to link the two, but a strange coincidence it is. Third is a larger question: why would the captors bring their victims into Pakistan, after kidnapping them in Afghanistan five years ago? And when did they bring them into Pakistan? Once the dust settles, and the kidnapped couple starts speaking, one could get to know more about how they were kidnapped by the Huqqanis in Afghanistan, and transported into Pakistan. It would also reveal the safe havens that the group and its affiliates have with Pakistan. Af-Pak Transit Trade: Why Islamabad blames India? One step forward and two steps backwards. President Ghani met a Pakistan delegation in Kabul led by Gen Bajwa on 01 October. A week later, Afghanistan has cancelled a scheduled meeting of the Afghanistan-Pakistan Transit Trade Coordination Authority. Pakistan has responded negatively to this, blaming both Afghanistan and India for scuttling the Af-Pak bilateral trade. The Afghanistan Pakistan Transit Trade Agreement signed in 2010 (perhaps under pressure from the US), has been strained since the beginning. Pakistan blames Kabul (and New Delhi) for demanding the inclusion of India into the agreement as the primary reason for the failure; however, there are serious internal issues that Pakistan has to address bilaterally. The failure to control the informal trade (outside the formal channels) between the two countries is the primary reason behind the failure of formal trade between the two countries. Informal trade (like in the case of India and Bangladesh) between Afghanistan and Pakistan thrives and is controlled primarily by businessmen and mafia from Pakistan. Smuggling feeds directly into the various Bara from Peshawar to Karachi. This network has a strong clout over the formal channels and is a primary factor to undermine any bilateral legal trade between the two countries. Reports would suggest that the intelligence agencies are aware of the problem, but ignore it; some would suggest collusion. Outside the smuggling, and the hold of informal trade over the formal one, there are serious legal issues in implementing the Agreement – from banking to visa procedures for the Afghan businessmen. During the recent years, businessmen from both sides of the border have been regularly threatening to stop the trade, unless their genuine demands and grievances are met. Pakistan would want not want to look into the real issues for the failure of the formal trade with Afghanistan. Blaming Kabul and New Delhi is an easier option, to take solid measures. Let Islamabad take measures to stop smuggling and the back end links of those Bara markets existing all over Pakistan. The legal debate on Milli Muslim League (MML) has returned. The political face of the JuD and Hafiz Saeed suffered a legal setback, when the Election Commission of Pakistan refused on 11 October 2017, to recognize the MML as a political party. The MML candidate contested the recent election for the National Assembly against Kulsoom Nawaz as an independent. Later this month, there is another election for a National Assembly seat in KP (NA-04); the MML has already announced its decision to contest. The MML may have lost a legal position with the Election Commission refusing to register the same as a political party, but will continue to fight – both politically and legally. With the decision on Hafiz Saeed due by the end of this month (he is under house arrest), the legal struggle for the MML would be important. If Hafiz Saeed is to be released, then the MML is likely to argue that if the concerned person is free, then why should the registration of the party be questioned? Already, the party has objected being labeled as having links with a “proscribed” group. The larger issue for the Election Commission and Pakistan would be the political support for the MML. In the Lahore election, it has polled higher than the Jamaat-e-Islami, a registered political party. The PPP’s performance was not that great either. If the MML affiliated independent is to perform better in the forthcoming National Assembly election for the NA-04 seat, it would add further pressure on the judiciary and the ECP on the question of registration. Are the days of Pakistan depending on US over? 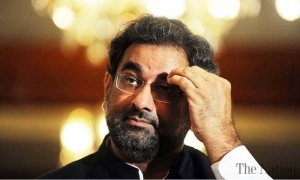 Pakistan’s Prime Minister Shahif Khaqan Abbasi on 8 October, made a statement in public that the days Pakistan depending on the US were over. In the last few weeks, one could notice a high level of rhetoric in the Pakistani media; while some have been asking for a reset in US-Pak relations, majority have been asking for Islamabad sending a strong message to the US. Is the Prime Minister, playing to a local crowd, or is he signaling to the US? Can Pakistan afford to look beyond the US? Obviously, there is a new confidence for Pakistan; where does it come from? Perhaps, there is a conscious effort inside Pakistan to diversify their defence purchases. It needs a larger analysis to find out on the patterns of Pakistan’s defence procurement and whether there has been a substantial change in the pattern, which would give the above confidence to Pakistan. Just buying few attack helicopters does not mean, there is a larger defence partnership between Pakistan and Russia. Or, is Abbasi signaling to the US? There have been reports already that the high level US officials are coming to Pakistan later this month to deliver a tough message. Perhaps, the statement is aimed at upsetting the American threat and tell them – don’t push us, for we have others. But, for Pakistan, where does this confidence come from? Does the CPEC and the growing China-Pakistan relations would substitute for Pakistan’s dependence on the US. If it does, what would that mean? This also needs a larger analysis from an Indian perspective. In the recent weeks, especially after the harsh statement made by the American President Trump on Pakistan while announcing his new Afghan strategy, Pakistan has been repeatedly emphasizing about Pakistan’s “legitimate concerns” in Afghanistan. Foreign Minister Asif Khawaja during his two recent trips to the US made this point repeatedly. The same point will remain as the focus as two major US officials are visiting Pakistan during October 2017. What are Pakistan’s legitimate concerns in Afghanistan? The Afghan population in Pakistan (refugees and otherwise) has been substantial since the 1980s. 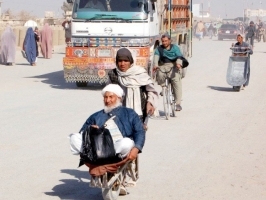 Though over 4 million Afghan refugees have been repatriated (according to UNHCR statistics), the Afghan population in Pakistan is substantial. Though primarily in KP and FATA, and substantially in Balochistan (due to geographic proximity), they have also moved into other provinces. Given the history, sociology, ethnicity and economy, this movement will continue for Pakistan. The second major legitimate concern should be those Pakistani militants (belonging to the TTP and its affiliates) hiding in Afghanistan and continuing violence against the State and Society. Pakistan would want to prevent this. And what cannot be considered as Pakistan’s legitimate concerns? Growing Indo-Afghan relations and the American acceptance of the same – why should these become Pakistan’s “legitimate concerns”? Pakistan cannot have a veto over Kabul and Washington on Afghanistan’s external relations. Would Pakistan like to accept a similar dictation by the US or even China? Even when Saudi Arabia wanted Pakistan to be a part of the Islamic Military Alliance, the debate in public and in media called for an independent policy. Afghans should be the only people to decide with whom they would work with. Similarly a “friendly regime” in Kabul and using non-State actors to achieve the same (through the Afghan Taliban and Huqqani Network) cannot be considered as a legitimate concern. Certainly not using non-State actors and violence in Kabul and other places, against what Pakistan consider as not in their own interests. India will have to strongly voice its opinion and draw a stronger redline in Afghanistan. 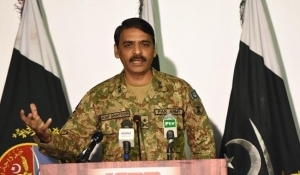 On 5 October 2017, Maj Gen Asif Ghafoor, the Director General of the Inter-Services Public Relations (ISPR) in Pakistan addressed the media on a series of issues. 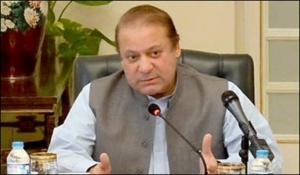 The press briefing took place in the background of recent statement by Nawaz Sharif on not learning from the fall of Dhaka, the Rangers fiasco in not allowing the Interior Minister to enter into a court premises and their subsequent withdrawal from Parliament, meeting of Corps Commander and the statement by an US Official about the American concerns on the stability of government in Pakistan. On Sharif’s reference to not learning from the fall of Dhaka, he was quoted to have said: “So much has happened over the last 70 years… it is time to move beyond the past.” Clearly, the military is uncomfortable to look back. Worse to learn from the past. Given the tension between the PML-N and the military, civil-military equation has assumed importance in the public debate in Pakistan. The military perhaps wants to totally brush off any debate when Ghafoor said: “these are things that should not even be spoken of.” His response to the absence of any statement after the Corps Commanders meeting was: “Silence is also expression, right?”. The military in fact has been silent on the entire accountability process. Is that also an expression? If it is, what does that mean? Is it what we see along the LoC – that there are five bullets from Pakistan for one from India and those five are not indiscriminate, because they are worried about the Kashmiri brothers? Or is the ISPR statement is only for a Pakistani audience? 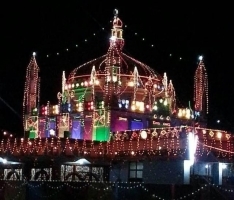 On 5 October 2017, a suicide attack on a Sufi Shrine (of Pir Rakhel Shah in Fatehpur in the Jhal Magsi district of Balochistan) killed more than 20 people. The district borders Sindh and is dominated by the Magsi tribe of the Baloch. The district is predominantly rural; according to the 2017 census, of the total 72,300 population, 68, 400 lives in rural areas. Close to 70 percent speak Balochi, and the rest speak Sindhi and Seraiki. The district is neither a predominant part of the larger Baloch insurgency, nor a part of Pakistan Taliban’s focal area. Then why was there a suicide attack on a Sufi shrine in an insignificant district? Two trends could be identified. First, there is a deliberate attempt in the recent years to expand sectarian militancy. Shia Hazaras have been under attack in Balochistan in the recent years. Though Balochistan have witnessed violence in the past, it was predominantly led by the secular and socialist Baloch groups. One could see a new actor – a radical one, backed by a particular religious ideology, targeting a section of the Baloch community. The Baloch were not known for their radical views with respect to the religion within Pakistan. Second, there is a deliberate attack on Sufi shrines all over in Pakistan. During early 2017, there was a major suicide attack in another Sufi shrine (Lal Shahbaz Qalandar in Sehwan) in Sindh. Before, there were numerous other suicide attacks on Sufi Shrines in Sindh and Punjab. Clearly, the attack in Jhal Magsi is a part of a larger design. The statements made by the officials, linking to external sources show yet another trends – blaming the others for the violence inside Pakistan, and not looking inwards. Pakistan’s Foreign Minister Khawaja Asif is back in the US, this time formally to discuss the bilateral relations between the two countries. Earlier, he was there few weeks ago, speaking at different institutions, trying to find the American mood, after the hard-hitting speech by Trump on Afghanistan, and Pakistan’s role. Khawaja Asif seems to have done his home work. 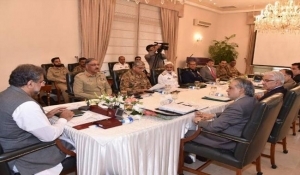 After his earlier visit to the US, there was an internal meeting in Pakistan; the National Security Council had a long discussion where Asif was present. 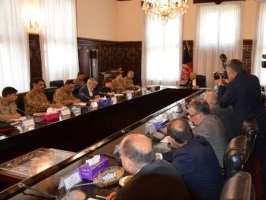 Immediately after the NSC meeting, Pakistan’s Army Chief took a delegation to Kabul. 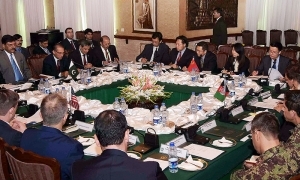 Ashraf Ghani, the Afghan President talked about a “new season” after meeting with the Pakistani delegation. It is obvious, that Pakistan has taken the Trump threat seriously. For Asif Khwaja, the assignment in Washington is likely to be four fold: Ensure Pakistan remains a part of major decision making process in Afghanistan and not seen as a problem. Maintain the sanctity of Durand Line and avoid any military confrontation between the Afghan-US and Pakistani troops in the future. Warn the US of expanding the drone programme beyond the tribal region. And more importantly, limit the Indian presence and engagement in Afghanistan. So, what are his trump cards to convince the US on the above points? Obviously the TINA factor – There Is No Alternative for the US other than working with Pakistan in Afghanistan. Pakistan has been using this strategy well since 2001. There is an element of truth and bluff in the above Pakistan position. Will the US work on the first, and call off the second? The statement made by the US Secretary of State Rex Tillerson on 4 October is interesting and goes beyond the bilateral relations. He was quoted to have said: “We have concerns about the future of Pakistan’s government too, in terms of them — we want their government to be stable. We want it to be peaceful. And many of the same issues they’re struggling with inside of Pakistan are our issues.” If the above is the American reading of domestic developments within Pakistan, what does this mean further? Immediately after the Parliament passed amending the Election Bill, the PML-N elected Nawaz Sharif as its leader. The new Act provides for electing a person to be the party chief despite his disqualification to be the member of legislature. Though the PML-N would like to claim this as the choice of the people, it is clear that this is the party’s choice. The opposition parties in the Parliament did not support the Act in its present version. Some did suggest modifications and some did tore up the resolution. However, the PML-N succeeded in passing it, because of its majority in the Parliament. Two statements made by Nawaz Sharif after getting re-elected as the Party Chief suggest his present position. He referred to “nothing being learnt from the fall of Dhaka” and the use of “Doctrine of Necessity” to oust him from being the Prime Minister. The first reference is obviously towards the role of the military in politics leading to the breakup of Pakistan. 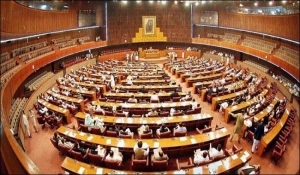 His statement of “ending a black law which was enacted twice by two dictators Ayub Khan and then Pervez Musharraf” links the new amendment not to his re-election, but to the strengthening of democracy. The above two statements clearly reflect the present mood of Nawaz Sharif. ≈The larger question is, whether bulldozing an act in the Parliament despite resentment from the opposition parties will strengthen the case of democracy and supremacy of institutions. Whatever may be the strength of the case leading to his ouster, he should have waited and cleared his name in all those cases before getting re-elected as the party chief. But he is a man in a hurry. For what? What will he do next? This could happen only in Pakistan democracy. The para military forces defying their political boss – the interior minister, from entering into a court premise. Neither the interior ministry ordered them, nor the Courts requested them. The interior minister had no clue under whose orders the Rangers were deployed in the Court premises, and has threatened to resign! 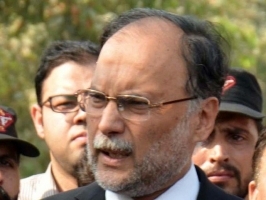 It all started on 02 October morning, when Ahsan Iqbal, Pakistan’s Interior Minister was accompanying Nawaz Sharif to a court proceeding in Islamabad. The Rangers, who function under the interior ministry, prevented their minister from entering into the Courts. The primary question in the immediate context is: who had deployed them? The Court officials have made it clear that there was no request from them. A letter issued later from the Office of the District Magistrate of the Islamabad Capital Territory (ICT) says: “Rangers was not requisitioned by the ICT for any kind of deployment in the premises of the Court on 2nd October 2017”. Then on whose orders were they deployed? The larger question is what does this mean for the ongoing cases against Nawaz Sharif. He has been complaining about a conspiracy by certain actors outside the political institutions. In the public literature, there is adequate reference to actors who tried to influence the entire process through and outside the Courts. The October 2 incident would further question the entire judicial process leading to the disqualification of Nawaz Sharif. Perhaps, there is. Will the opposition parties come together and make a stand in the Parliament and ensure that the latter remains supreme? Or, given Pakistan’s history, will this issue also die subsequently? 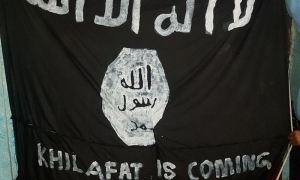 End September, a flag similar to that of the Islamic State was spotted by a citizen flying in the national capital – Islamabad. It screamed: “Khilafat is coming”. The flag was subsequently removed, but has brought back the debate on the Islamic State with a clear divide between the State and the society on the IS presence. 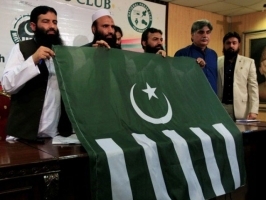 This is not the first time one has found an IS flag in Pakistan. There have been numerous reports and graffiti about the IS in major cities. Ample statements from different militant leaders have been already made on the intention. While the earlier statements from the State totally negated the idea of IS being present in Pakistan, the latest one refers to the absence of an “organized presence”. Does this mean that there is an IS presence, even though it may not be organized? Ever since the formation of al Qaeda, the militant strategy has been evolving. The evolution of sleeper cells, use of internet and foreign fighters, the threat from international groups such as the Islamic State is becoming more nebulous. Hence, the absence of an organized presence, may be a strategy in itself by the militant groups. The State will have to look at the intentions and not the presence in this context. Will this become a “new season” for Pakistan and Afghanistan? Did Gen Qamar Bajwa visit Kabul with an objective to start a new relationship? Or the visit was under pressure from the US, especially before Islamabad attempts a course correction with the present American administration? The immediate requirement for both sides would be to target the militant safe havens in respective countries and prevent any major attacks across the Durand Line. And the second requirement would be to stabilize the Line itself. While the first issue is straightforward, the second issue is sociological and political. While both countries need to work together on the first issue, Pakistan will have to be more accommodative on the second issue. Currently, Pakistan has been using the second issue as a trump to pressurize Afghanistan on the first issue. Closure of border at will has not only been increasing the political distance between Islamabad and Kabul, but also the Pashtun population across the Durand Line. It is Pakistan’s sovereign right to control its borders. But the Durand Line is no ordinary border. For Kabul, it is not a border at all, as they politically dispute it. For the people across both sides, it does not exist sociologically. Pakistan wants to impose a military solution to the above, by constructing a fence. If the Durand is stabilized a “new season” will automatically evolve. And this needs a political approach. It is unfortunate, that the Parliament in Pakistan has abdicated this responsibility to the military. 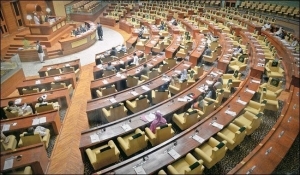 Until the two Parliaments connect with each other, Afghanistan and Pakistan would remain a repeat of the previous seasons. Pakistan’s Chief of Army Staff Gen Qamar Bajwa is visiting Kabul on 01 October 2017. According to a news report, he is expected to discuss border relations including border fencing, and militancy. 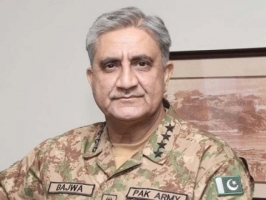 While the above issues have assumed a perennial nature in Pak-Afghan relations, the real reason behind Gen Bajwa’s visit seems to be preparing the ground for the next Pak-US discussion. Following Trump’s hard-hitting statement on Pakistan, as a part of his new surge in Afghanistan, he has also welcomed India to play an increasing role. Both the positions of the American President, if pursued seriously by the US would seriously jeopardize Pakistan’s preeminent position in the region, and thereby Islamabad’s international status. A reduced status will undermine Pakistan’s bargaining position vis-à-vis the US. To restart its discussions with the US, and build a working relationship with the Trump administration, Pakistan will have to start from the ground. In this context – Afghanistan. The visit of Foreign Minister’s to the US recently was a part of this strategy - to find the American pulse on what is expected and what would be acceptable. Gen Bajwa is expected to break new grounds in Afghanistan, primarily for the sake of repairing Pak-US relations. A positive joint statement, or an announcement by the Afghan President on Af-Pak relations would help Pakistan at this juncture. Though Pakistan would prefer to claim, this is a part of larger interaction with Afghanistan, the timing and the chronology of events since Trumps’ Afghan speech, Khawaja’s US visit, the NSC meeting in Islamabad would prove otherwise. The latest meeting by the National Security Council (on 29 September, Friday) seems to have discussed Afghanistan and J&K, besides other issues. The backdrop for this meeting is important. Starting with Trump’s new Afghan strategy, to the recent addresses/statements/responses in the United Nations by Pakistan’s Prime Minister and the Special Representative Ambassador Maleeha Lodhi, there have been numerous developments at the international level for Pakistan. 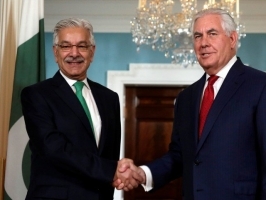 The NSC should have discussed the recent visit of Khawaja Muhammad Asif to the US, where he met numerous officials and addressed think tanks. He should have briefed the NSC about his discussions and the new American positions on the region. 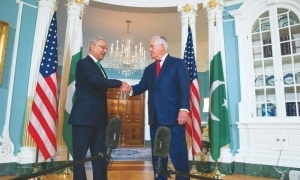 Though few statements made by Asif in the US about “Pakistan’s Liabilities” (referring to Hafiz Saeed and the Lashkar-e-Toiba) have created a stir within, his visit was well coordinated and exploratory to read the American minds, before Pakistan finalise the next steps towards its eastern and western neighbours. According to a report, the NSC considers Kashmir and Afghanistan among the cardinal points of Pakistan’s foreign policy and there can be no external pressure. Perhaps the focal point of the NSC meeting should have been the proposed visit of the Foreign Minister in early October to meet Rex Tillerson. The meeting was scheduled in September and was postponed. The NSC wants to prepare for this crucial meeting, as it would place a substantial pressure on Pakistan by the US on do’s and don’ts. Khwaja’s September visit to the US is a curtain raiser and feel the American pulse on various issues. The NSC though includes the Prime Minister, Finance Minister and the Foreign Minister, is dominated by the Establishment through the Chiefs of Army, Navy and Airforce Staffs. The fact that the NSC had discussed the above issues would underline that the Establishment and not the offices of the Prime Minister and Foreign ministry lead the policy towards Pakistan’s neighbours. A series of meetings on Afghanistan and with Afghans, along with a “Special Envoy on Kashmir” are likely to be Pakistan’s responses. The first will be aimed at appeasing the Americans in Afghanistan, and the second will try to present the Pakistani case on Kashmir and "internationalise" the issue.